1 November is International Day of Prayer for the Persecuted. Visit www.idop-africa.orgfor resources to mobilise prayer and action on behalf of those suffering for Christ. The pastor under whom I was converted and discipled, Rev. Doc Watson, challenged me after my first cross-border Mission to Mozambique in 1982: "Many Missionaries tell us what they have done, I would be more interested to hear what they have learned." That profound challenge has continually guided me in over 36 years of ministering to the Persecuted Church. There is so much that we can learn from the Persecuted Church. Yes, they need our prayers and support. We are commanded: "Remember the prisoners as if chained with the..." Hebrews 13:3 and "In asmuch as you did it to one of the least of these My brethren, you did it to Me. "Matthew 25:40. But we also need to remember that these precious brothers and sisters in Christ who have gone through the fires of tribulation have much to teach us. They fear God and therefore are able to stand like Shadrach, Meshach and Abednego and declare: "Our God whom we serve is able to save us, and He will. However, even if He does not, we will not bow before your idols, neither will we serve your gods!" They love the Word of God. As Sabrina, the wife of Romanian Pastor Richard Wurmbrand, testified: Before she went to prison she was very poor. But once she went to prison, she became very rich. This was because she was poor in the things of the world, but rich in the Word of God. When she came to prison, she had the only currency that was of any value. She had stored up in her heart and mind the Word of God. From her Bible memorization she was able to make many people rich in prison. After my first night in a filthy, mosquito-ridden jail cell I remembered the words of Richard Wurmbrand in his book Tortured for Christ, and I said to the other Frontline Missionaries with me: "An ounce of experience is worth a tonne of theory!" When we were thrown into an overcrowded prison with an average of 60 prisoners crammed per 15 feet by 20 feet cell, we had the opportunity of conducting Bible studies in our prison cells at night and sharing the Gospel with 1,200 prisoners in the open courtyard by day. However, there was no electricity and no plumbing. Neither, of course, did we have our Bibles or sermon notes. All we could share with our fellow prisoners was what we had memorized of the Scriptures. Sunday, 11 November is the International Day of Prayer for the Persecuted Church. Of course we should be praying for the Persecuted Church throughout the year. However, this is a wonderful opportunity to join with hundreds-of-thousands of Christian Churches worldwide to pray for the Persecuted Church and with the Persecuted Church. Click here for an inspiring 3 minute video: Remember the Persecuted, which you can share and show your friends, family, school and church, this week. You can also join the International Day of Prayer for the Persecuted event on the Frontline FellowshipFacebook page. Please like, link and share it with your family and friends. In the Killing Fields of Mozambique (95 pages, 40 pictures). Mozambique was my first Mission field and in this book I share inspiring testimonies of Christians who faced the cruelty and carnage of communism. In the Killing Fields of Mozambique includes vital historical facts and important lessons that we can learn from the scorched earth campaign, man-made famine and abuse of relief aid caused by communist forces in Mozambique. 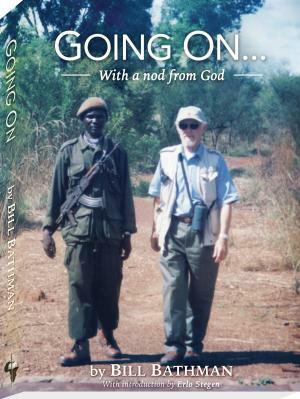 It also includes the story of our capture and prison experience in the war zones of Mozambique in 1989. Faith Under Fire in Sudan(320 pages, 200 pictures – available in both hard and soft cover) presents the inspiring testimonies of some of the unforgettable heroes of Sudan and their courage amongst carnage and cruelty in the largest country in Africa, during the longest war of the 20th century. Faith Under Fire in Sudan is one of our all-time best sellers, having gone through three editions. This third edition is three times larger than the first, which was produced in 1996. South Sudan is now free and independent, a tremendous answer to prayer and a major victory over radical Islamic Jihad. Faith Under Fire in Sudan is now available as an E-book. Going Through – Even If the Door is Closed(268 pages, 20 pictures and maps). Rev. Bill Bathman, my Father-in-Law and the Chairman of the Board of Frontline Fellowship, has served the Lord as a Missionary to the Persecuted Church for over 60 years. Going Through contains incredible true stories of Missionary exploits in Europe, East and West, during the dramatic events of the Cold War. Spanning the time of the Berlin War, Going Through includes extraordinary stories of Christian courage and steadfastness under communist persecution in Eastern Europe, behind the Iron Curtain. Going Through – Even If the Door is Closedis available as an E-book through SmashWords.com (50 chapters, 100,690 words with 18 pictures and maps). Going On – With a Nod from God (316 pages and over 150 pictures) is Rev. Bill Bathman's last book. Going On is the sequel to his previous book: Going Through – Even If the Door is Closed. In Going Through, Bill Bathman focussed on his ministry in Europe, right up to the Fall of the Berlin Wall in 1989. Going On focuses on his Ministry and observations throughout Africa, South America and Asia, throughout the tumultuous events during the height of the Cold War. Going On is also available as an E-book through SmashWords.com. Slavery, Terrorism and Islam – The Historical Roots and Contemporary Threat(290 pages, 200 pictures). No Frontline Fellowship publication has engendered more controversy and been in more demand worldwide than: Slavery, Terrorism and Islam – The Historical Roots and Contemporary Threat. The first four editions, and six printings, sold out so fast that we are almost continually out of stock. The first edition earned me a Muslim death threat Fatwa and Amazon.com began offering second hand copies of the hard-to-find book for hundreds and then even thousands of Dollars! It was clear that we needed to reprint, but I was determined each time, to thoroughly revise, expand and produce better editions. The fourth edition of Slavery, Terrorism and Islam is now available – both in print and as an E-book (60,446 words, 41 pictures). This fourth edition is now three-times the size of the first edition and is one of our most successful publications, both in terms of educating and alerting Christians to the dangers of Islam and mobilising Christians to be effective in Evangelism of Muslims. It is our earnest prayer that the Lord will continue to use this book to alert Christians to the real threats, the urgent needs and the unprecedented opportunities before us, to reach Muslims with the Life Transforming Gospel of our Lord Jesus Christ. As far as audio visual materials go, our AV Department has produced Two Muslim Evangelism Workshop MP3s with 20 lectures and PowerPoints and a Slavery, Terrorism and Islamaudio MP3 with 18 lectures paralleling the chapters of the book. We had the opportunity of taking film crews behind the lines into war torn Sudan to visually document the atrocities of the National Islamic Front government and the tenacious courage of Christians in Sudan. Three of these films are available on one DVD, including: Sudan – The Hidden Holocaust; Terrorism and Persecution – Understanding Islamic Jihad; and Three Days in Sudan. The first two films are by Pat Matrisciana of Jeremiah Films and the third by a secular war correspondent, who told us that he had been sent in to “do a hatchet job on Peter Hammond!” As it so happens, his film is quite positive, as he came under artillery and rocket fire with us at a church service, during his second day in Sudan. Over 400 million Christians live in 67 countries of the world which severely restrict, or persecute, believers. Please visit www.idop-africa.org and www.frontlinemission.org website for resources, information, Prayer posters and prayer requests for the persecuted. "And if one member suffers, all the members suffer with it; or if one member is honoured, all the members rejoice with it. Now you are the Body of Christ, and members individually." 1 Corinthians 12:26-27. Click here for more articles on the Persecuted.